Whether you have three teenagers or just one young one, planning is essential when it comes to the cost of education. Sometime after telling your kids about "the birds and the bees," but before you hand over the family car keys, financial advisers recommend having the talk with your teen about who is paying for college. “No one else had asked me that, and yes — I really do want to get overseas,” says Adams, 18, who considered several schools before taking an academic scholarship and an offer to play this fall for St. Lawrence University, a 2,500-student private college in upstate New York with a study abroad program. Her father, Urban Adams, a financial planner based in Irvine, California, was delighted, too. He also was relieved: The scholarship will pay the majority of his daughter’s tuition, and Sofie is the first of his three children, all of whom plan to enter college in the next four years. Whether you have three teenagers or just one young one, planning is essential when it comes to the cost of education. Sometime after telling your kids about “the birds and the bees,” but before you hand over the family car keys, financial advisers recommend having the talk with your teen about who is paying for college. That list didn’t exist when she first discussed college options with her parents when she was 13. “At that time, I barely knew what I wanted for lunch, let alone college,” she recalls. 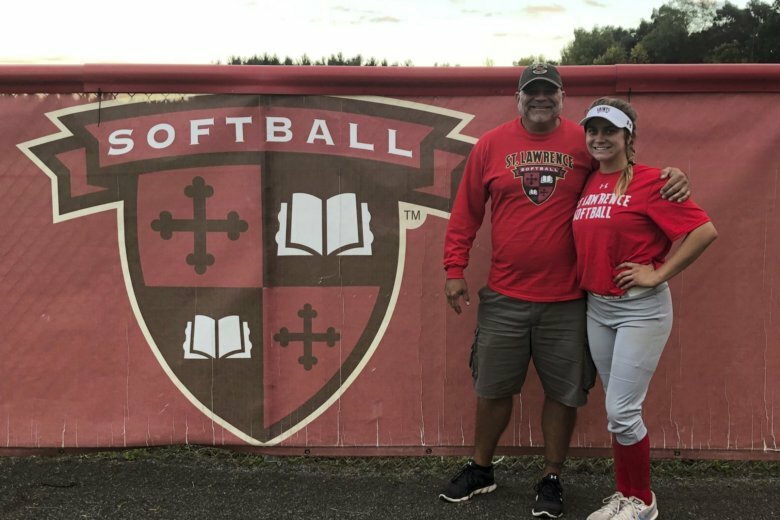 “For Sofie, it probably started in eighth grade when she started showing some promise in softball, and seeing it as a potential opportunity for — and importance of — a subsidized education,” recalls Urban Adams. “We would talk about it often, and as time went on, preferences would change. And I would stress that I am not trying to save enough to pay 100 percent of their college expenses,” he says. As a financial planner for Dynamic Wealth Advisors, he sees clients who want to tap their retirement savings to cover college costs — which can spell big financial trouble later in life. “There are loans available for paying for college. There are no ‘retirement loans,'” he says. Your top savings priority should be for your own retirement. Save at least 10 percent of your income in an employer-sponsored plan such as a 401(k) or a tax-advantaged individual retirement account, advisers recommend. Next, open a college 529 savings plan. Like your 401(k) or IRA, a 529 plan can grow your money much faster than an ordinary savings account would. That’s why putting in even a little bit soon after your children is born is much better than waiting until you can put in more, as you have nearly 20 years to let compounding do its magic. — Apply for financial aid (aka free money). Applications for the Free Application for Federal Student Aid , or FAFSA, opened Oct. 1 — the earlier you file, the better, as deadlines may vary by state or college in order to qualify for aid next fall. — Attend community college first. Community college for the first couple of years is a low-cost way to start your education before transferring to a public or private university. — Put a GPA requirement on parent contributions. Agree to a sliding scale of contributions based on your child’s academic performance and your budget. — Split allowance with college savings. As your children get older, split their allowance so that half they can spend and half goes into their college fund. “I’m loving it here. The classes are small, which I like, the team is great — and all the trees are yellow and red,” says Sofie, who hopes to study in Denmark her junior year. NerdWallet: Retirement calculator — How much do you need to retire?